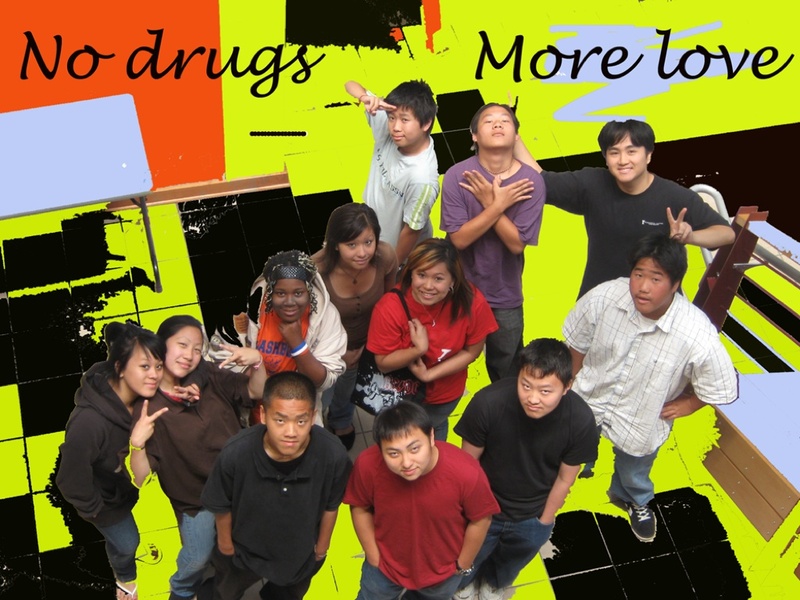 PSAs primarily concerned with substance abuse as well as PSAs conforming to the ‘Alcohol, Tobacco, and Other Drugs’ PSA guidelines. 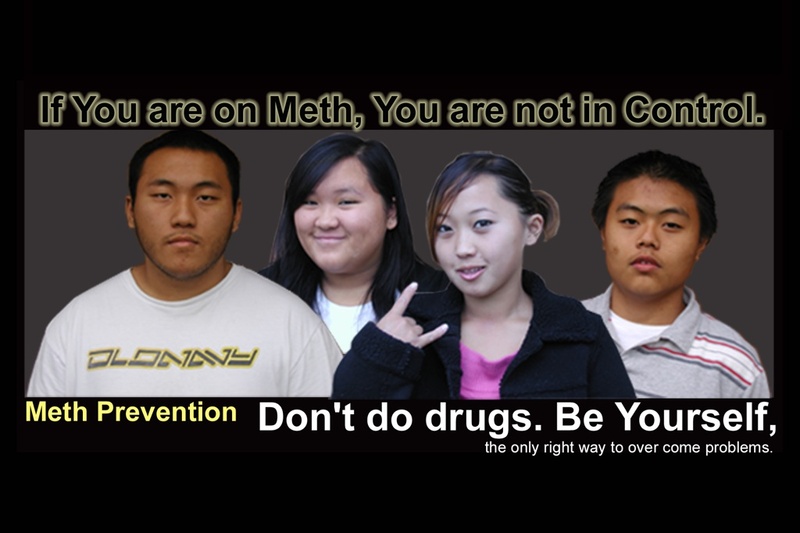 A 60-second PSA spot on the dangers of meth. [9-22 10:10 AM] Sorry about the earlier video that had white noise for sound. Apparently the hosting site doesn’t like AAC for input (?). Once upon a time there was a boy, seventeen years old, who rolled (did ecstasy) every weekend, stayed high, and drank 24/7. He and I were cool and everything, but sometimes he could get very violent while he was high or drunk. One night we were at a party and he was drunk. I was on the dance floor, and someone smoked his weed that he had left on the table. He got super belligerent and became out of control. He found the girl who had taken the weed and she had smoked it all. Within a blink he had backhanded her. A couple weeks later he met my friend Tracy and they started dating after hitting it off. He stopped his drug habits for the three months they were going out. Unfortunately, he later got involved with meth. He and his friends got pulled over at about three in the morning. He was arrested because he was on acid and had thirty-four rolls (ecstasy) on him. He then went to court and was sentenced to six months in Lino. His girlfriend, Tracy, waited until he was finally released in February. He promised her that he would never go back and would never do drugs again. I know someone who did crack cocaine. She didn’t want to at first. She started because of a relative who was around the same age. She started using crack cocaine so that she could be around people she knew since her older siblings didn’t want her around. Over time she became addicted to the drug. A lot of things have happened since then. She had a child, and wanted to change herself for the baby. She attempted to quit the drug, which worked for a while until she was around the wrong people again. She started the drug again, stealing from her child so she could get money for the drugs. The child tried to help the mother so that she didn’t have to go through it alone. I don’t know if it was a success or not, but I wish them the best. The first time I encountered drugs was in my backyard when I saw a cigarette on my lawn. I was only seven, and I didn’t know that smoking was bad. I was curious about what smoking was like. I picked up the cigarette, smoked it, and started to gag. My lungs felt like they were bursting out for fresh air. Slowly, I started to breathe again, but I was breathing heavily, I went into my house and drank water to cool down for a bit. Then I began to calm down and fell asleep on my couch. That day taught me a lesson on why smoking can be harmful to your health, and I will never again smoke.